Thursday, September 7th, the Eric Johnson Electric band featuring Tom Brechtlein and Chris Maresh with special guest Arielle will be performing a benefit for the victims of Hurricane Harvey at the Blue Rock Artist Ranch Studio in Wimberly, TX. Tickets are available here. 100% of the proceeds will go to Convoy of Hope and Mercy Chefs. The performance will also be webcast at this link where donations in any amount will be accepted. For more information visit the Blue Rock Artist Ranch And Studio. Head over to the Tone Tavern for vintage tour merchandise, used EJ gear and more! Check back often for updated one of a kind and sale items! 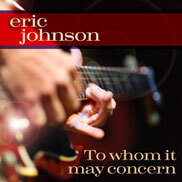 Eric's first acoustic guitar CD, "EJ", is NOW available! Preview the new song, "Wrapped In A Cloud", below! 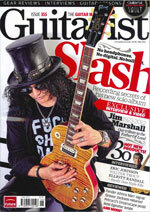 Pick up the new Acoustic Guitar magazine featuring an EJ cover story with photos by Max Crace! Available on newsstands everywhere now! 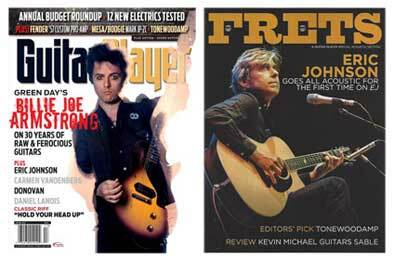 On newsstands now, check out the December issue of Guitar Player Magazine with a special EJ cover story in Frets magazine included! You can also view the EJ interview here! Recently, Eric sat down with iHeartRADIO's Jonathan Clarke at the Q1043 studios in New York City for an exclusive interview and performance. You can view the video and read all about it here! 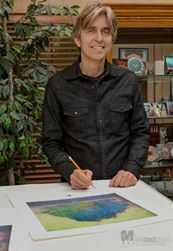 Max Crace, longtime EJ photographer and creater of many Eric Johnson album covers is offering a limited run of signed and numbered prints of the new EJ album artwork. Click here for more information. 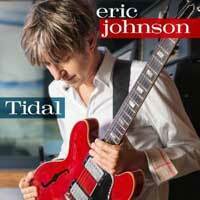 Check out this review of EJ at Vintage Guitar! 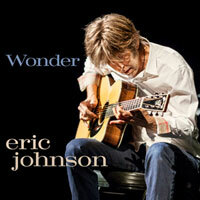 Here's an interview discussing the new acoustic album, "EJ" at Guitar World! Click here for the premier of EJ's cover of "The World Is Waiting For The Sunrise"! 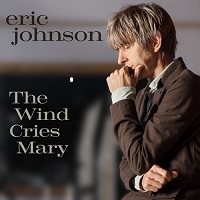 Click here to listen to Eric's recent performance at NPR's Mountain Stage on iTunes! Check out this article by Muse On Muse with Eric and Mike Stern regarding the making of "Eclectic"! Here's a new interview with Eric and Michael Frank-Braun discussing his new Fender Signature Pickups! 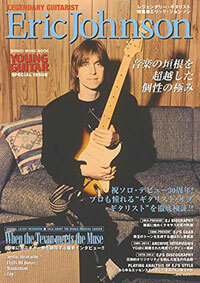 Be sure to check out an All Eric Johnson issue of Young Guitar Magazine featuring many new and rare photographs, a detailed inside look at Eric's guitars and gear, and an in-depth listing of his recordings, available only in Japan now at this link! Check out this recent podcast interview with Eric and Mike Stern, "Playing From The Heart" at mtpr.org! 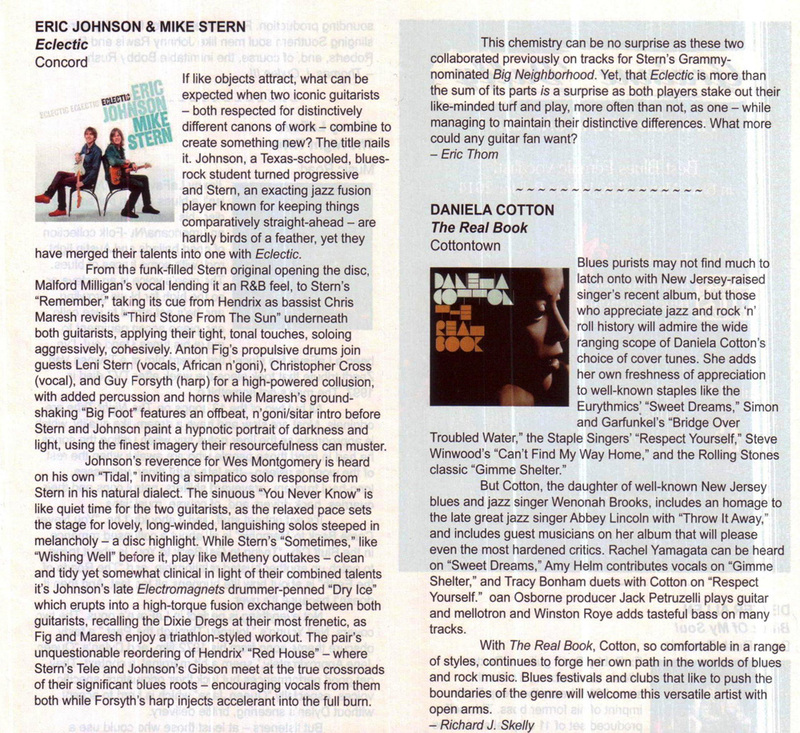 Here's Blues Music Magazine's review of "Eclectic"! Check out this clip of "Divanae" from KUTX Austin's studio! The entire webcast is here. Redbeard has produced a special InTheStudio episode to celebrate the 25th anniversary of Ah Via Musicom. Click here to listen now! On February 16th, Eric and Mike Stern played Live in the KUTX studio. You can hear the entire performance at this link! 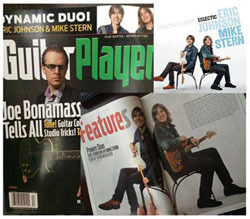 Pick up the 2015 issue of Guitarist Magazine for back to back interviews with EJ and Mike Stern + a tab lesson on how to play some of the licks used on "Eclectic"! Recorded on the November 2014 "Eclectic" tour, Here's "Dry Ice"
Check out this new video for "Wishing Well" Live! 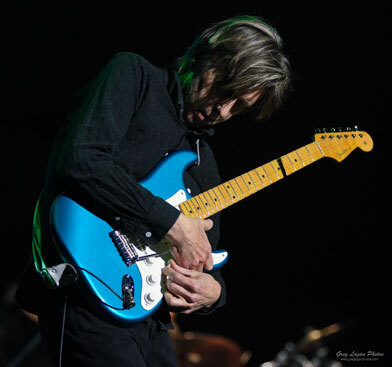 The 2015 "Eclectic" Tour with Mike Stern resumes on January 16th. See all the dates on the tour page! 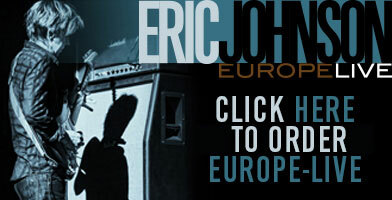 If you haven't bought "Eclectic" or "Europe Live" yet they are now available in our online store! 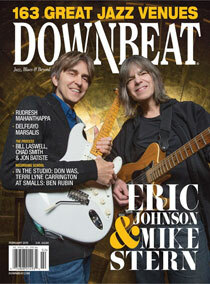 Be sure to check out a Cover Feature in Downbeat Magazine's February 2015 issue! Read it at their online blog here! Here's an interview with Eric Holland featuring performance footage from the New York City "Eclectic" show! 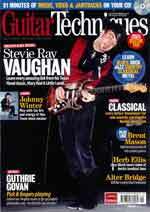 Pick up the Holiday 2014 issue of Guitar Player Magazine for a look at the making of "Eclectic"! 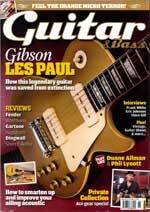 Also check out the Holiday 2014 issue of Guitar World Magazine for a candid interview with Eric and Mike Stern plus a detailed Axology! 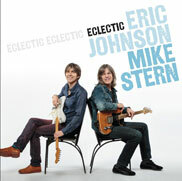 "Eric Johnson and Mike Stern: Eclectic"
Click here to Order the CD for $10 at AMAZON! Here's a new interview about the CD at GuitarWorld.com! Now Available in JAPAN ! Here's a great new review from Vintage Guitar Magazine! innocent Words has a nice write-up here! Also check out ink19's review! Guitar World premiered a new Lyric Video for "Forty Mile Town"! Read the article here or watch it below! Check out this all new In The Studio with RedBeard interview! Click here for Premier Guitar's stream of "Europe Live" with track by track commentary! You can also hear the stream at musicradar and Guitar Magazine! 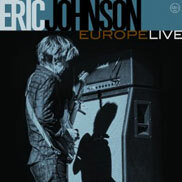 Check out Guitar International's Review of "Europe Live" here! The Academy Chronicle has a nice review here! Check out Explicity Intense's review here! Preview the new single below. You can Buy it at iTunes, Amazon and many other online music retailers! 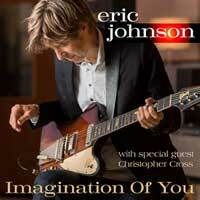 "Imagination Of You - A Tribute To George Harrison"
Check out the new Sound Waves online magazine for a cover story/interview with Eric and Mike Stern! Recently, Eric sat down for an interview with Nicholas Cho for the Academy Chronicle . Read it here! 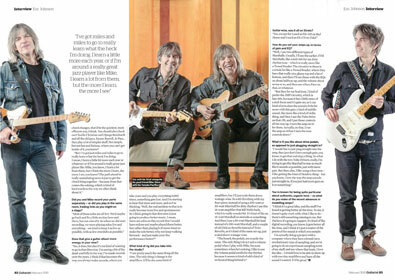 Visit the Pottstown Mercury for a stellar review by Rob Nagy of EJ and Mike Stern at the Blue Note! Preview the new single and watch a performance of the song below. You can Buy it at iTunes, Amazon and many other online music retailers! Preview the new single and watch a live performance of the song below. You can Buy it at iTunes, Amazon, Google Play, and many other online music retailers! iTunes, Amazon, Google Play, I Heart Radio, and many other online music retailers! Rush on Rock has a nice review of "Up Close: Another Look" here! Check out this review of "Up Close: Another Look" on Rockshot UK's website! 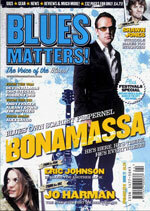 Check out the April issue of Blues Matters! 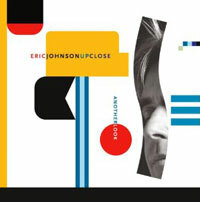 Magazine for a new EJ interview and also a review of Up Close: Another Look! 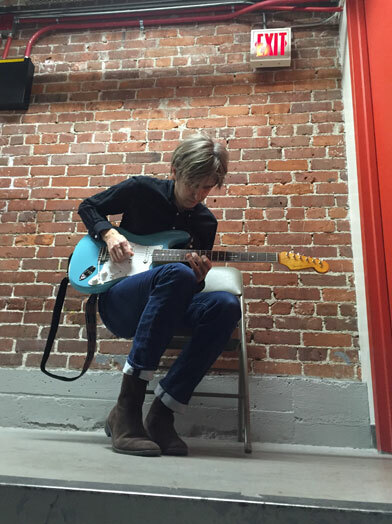 There's a new Guitar World interview with Eric discussing his signature Fuzz Face here. Pick up the November Issue of Guitarist Magazine for a Fuzz Face article featuring Eric! Also Check out Premier Guitar's article on EJ Concepts and Techniques! Check out this Up Close Tour video posted by Harmony Central! 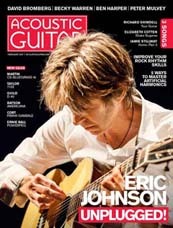 Pick up the September issue of Guitar Techniques magazine for a new interview with Eric! 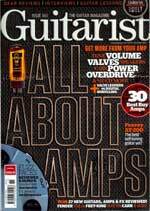 Eric is also featured in the June issues of Guitarist Magazine,GUITAR And BASS Magazine, and Guitar Techniques on newsstands now! 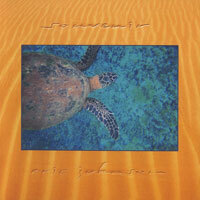 Check out the new Sonny Landreth CD "Elemental Journey" featuring Eric and many other guests here! Visit the Super-Vee Tremolo Systems site for info about the system EJ is using! Check out this article at Brave Words and Bloody Knuckles! Also see this one from the Chicago Tribune! New Guitar World Interview - Read it here now! Click here for a recent interview posted on Vintage Guitar's website.